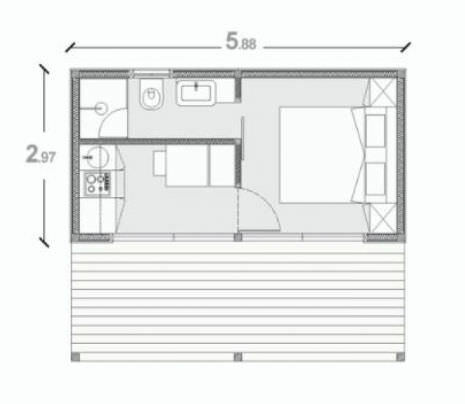 The modular construction system developed to implement the proposed size of these vacation homes. The interior spaces, enriched and douboled with a Outdoor Pergola and Patio gives a feeling of space. Completely transportable and installable in a few hours, does not need a concrete basement.